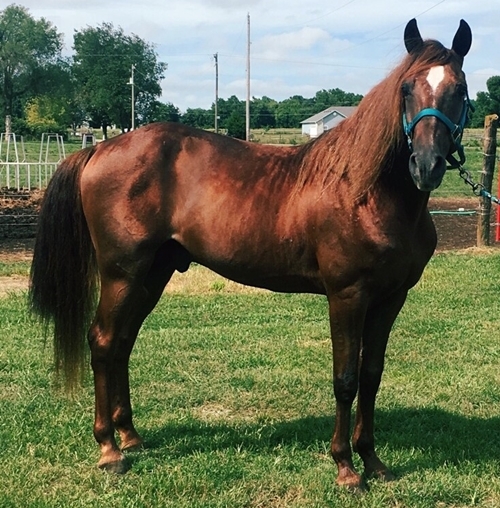 Dam’s Sire: Missouri Traveler E.
He is a 13 year old stallion out of World Grand Champion Patriot’s Twister and out of World Grand Champion Missouri’s Anne Rue. 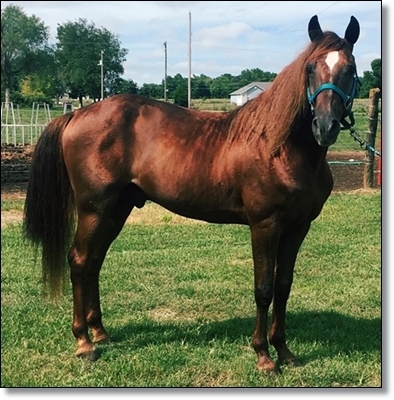 He is beautiful Chestnut stallion with a flax mane and tail with a star in his forehead. He has a elegant way of representing himself.